‘It Ain’t Pretty’ Goat Cheese Terrine From Williams-Sonoma Starters. 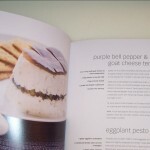 You can probably skip this Cookbook — It’s Williams-Sonoma New Healthy Kitchen: Starters (2006). 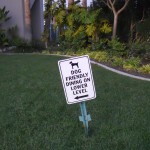 I’ve finally gotten around to utilizing it. The colorful recipe photos are beautiful and offer so much promise, but when gettin’ down to wanting to make any of them, the pickings are slim. 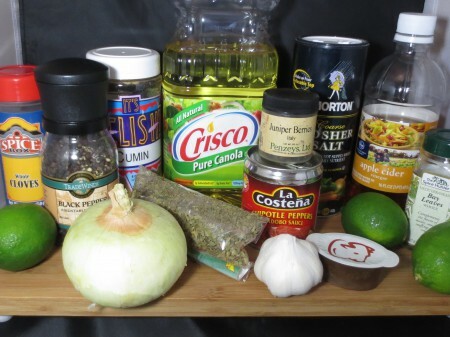 Some recipes are impractical, others don’t even sound good, and ingredients should be altered in the pictured recipe I made. 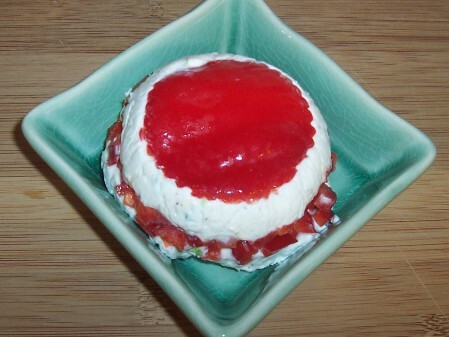 It’s the Purple Bell Pepper & Goat Cheese Terrine (p. 33) substituting Red Bell Pepper, since Purple Bell Peppers are hard to come by. 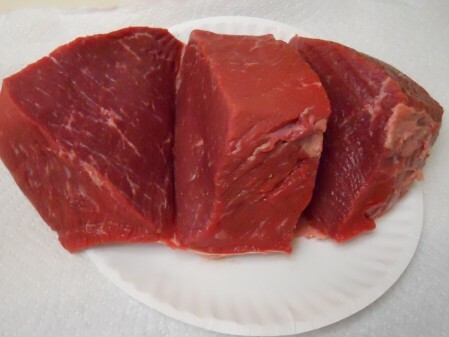 Other than that, I followed the exact recipe and thought my unveiled terrine to be too runny and salty. 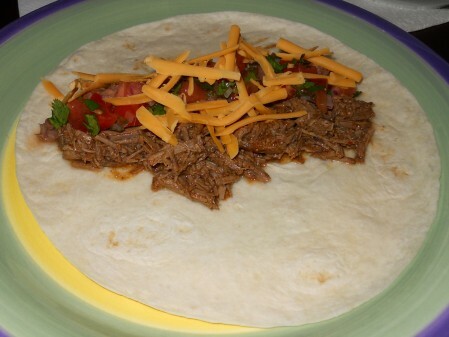 If you still want to make this recipe after this report, it’s recommended that you use half the Salt and Milk that’s listed, and possibly replace the Shallot with chopped Green Onion or Chives. * I also have Williams-Sonoma New Healthy Kitchen: Desserts and will post what we ultimately make from it. I hope it’s better than this Starter. 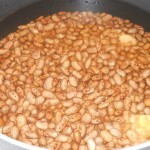 If you cannot view the enlarged recipe well enough to prepare a better version of it, tell us in a comment. Kids In The Kitchen & Favorite Chicken Samples. 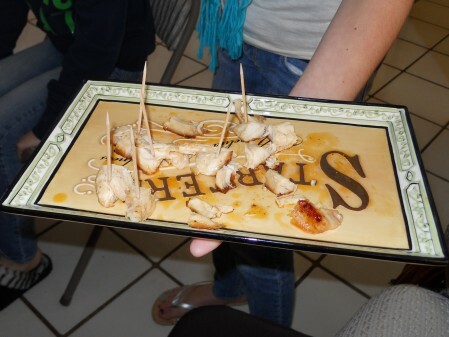 Chef Lexi from Kids in the Kitchen is snapping photos of our Famous Family Chicken samples (below). For years our family gatherings have included my Dad’s amazing BBQ’d Chicken — Before sitting down at a beautiful table setting designed by my Mom, we always enjoy samples that are now served by my lovely Chef Nieces. * Check out the ingredients that make our family Chicken so unique — We post them here. 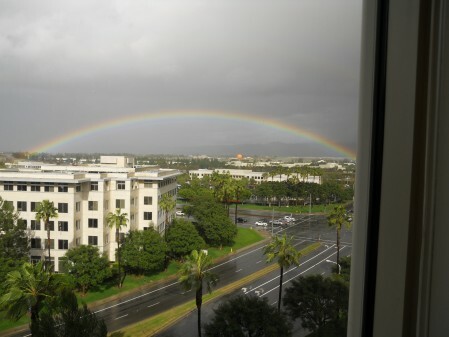 Full Rainbow In The Sky Looking From My Irvine Office. Improvised Cup Warmer Sold As A $5.00 Candle Warmer. 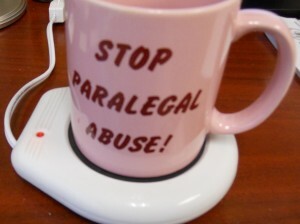 In addition to having a freelance writing career, I’ve been a Litigation Paralegal for several years — And I’ve always gotten a big kick out of walking around the law office with my Coffee in this cup. 🙂 Fortunately I’m not abused by too many hours anymore, so the main point of this post is my excitement over Coffee that stays warm. Yeah! I no longer have to keep reheating it in the microwave. This so-called Candle Warmer is working fabulously as a Coffee Warmer. 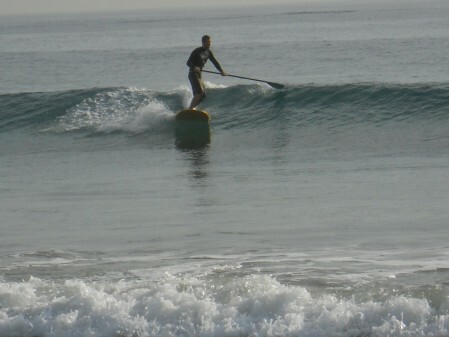 Although I cannot vow for its complete safety for this purpose, it’s been working well for me for 30+ days. Use at your own risk. *The identical looking product that’s sold as a Coffee Warmer usually sells for $12.99 – $14.99, and the pictured product sold as a Candle Warmer was only $5.00. 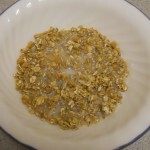 Foodbuzz Tastemaker Review: Special K Fruit Crisps & Low-Fat Granola. 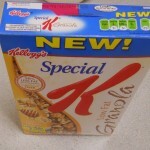 Special K just added a couple new products to their repertoire. Over the years I’ve enjoyed many boxes of Special K’s Original Cereal, thus opted-in to try their latest products as a Tastemaker for Foodbuzz. 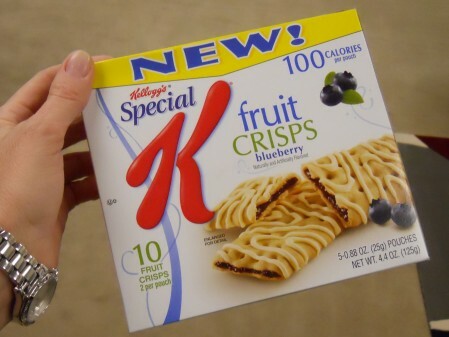 This day four of us gathered together to sample Special K’s Fruit Crisps and Low-Fat Granola. We reached a consensus regarding one of Special K’s new products and were divided with respect to the other — Our assessment is noted below. Immediately we ALL fell in love with the Blueberry Fruit Crisps. 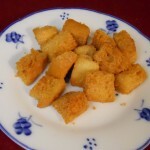 They are indeed crispy, light and slightly sweet as reported. 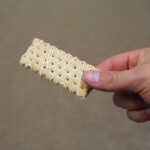 Each pouch of (2) is only 100 calories, which makes for a great health conscious snack. We’d all buy them next time. They also come in Strawberry. And with respect to the Low-Fat Granola we were divided — Two think it’s terrific, one is on the fence and another didn’t care for its after-taste. Personally I’m a bigger fan of their Original, Cinnamon Pecan, Blueberry and Red Berries Cereals. Overall, Special K makes a lot of tasty products and we appreciate the opportunity to try their latest. 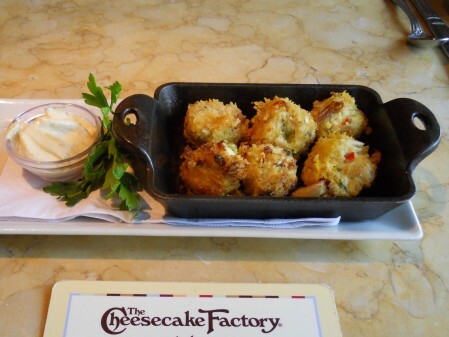 The Cheesecake Factory: Small Plates And Snacks Menu Items. Continuing with our sampling of The Cheesecake Factory’s Small Plates and Snacks Menu, this visit we tried a few of their newest additions — Pictured are the Crispy Crab Bites ($6.95), Mini Corn Dogs (4.95) and Fried Zucchini ($3.95). 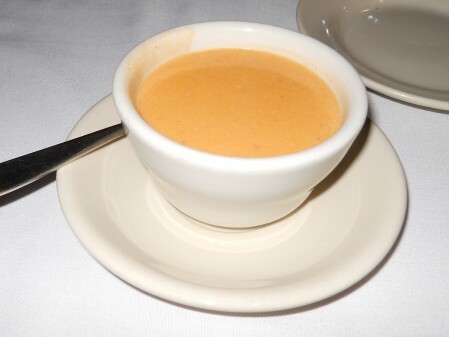 We loved the Crispy Crab Bites — The Creole Mustard Sauce that’s served with them is a perfect compliment. 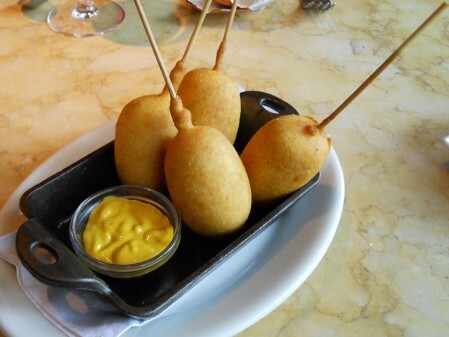 The Mini Corn Dogs are made with Nathan’s Hot Dogs which is good, but we thought the batter was bland. 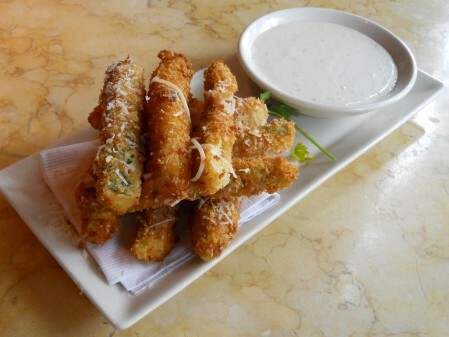 We have no complaints about the Fried Zucchini and especially like the Ranch Dressing that’s served with it. It’s another tasty combination. 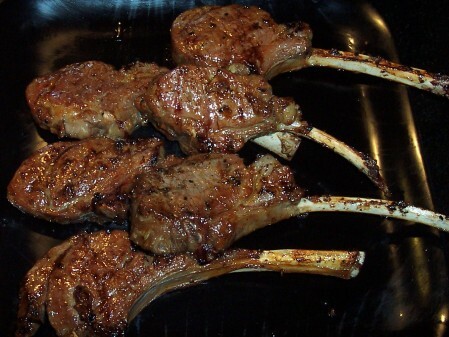 We’ve had a lot of great meals at The Cheesecake Factory — You can see them all here. 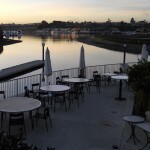 Restaurant Options Near Newport Beach Pier And Surrounding. 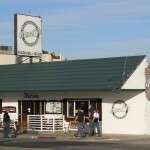 The restaurants and bars photographed for this post certainly aren’t all the restaurants and bars near and surrounding Newport Beach Pier. We’ve previously posted others here and supplement them with this post. It was a beautiful day in January and we did a lot of walking. The Crab Cooker was our lunch choice this day, but we’ll eventually get around to the others. Most of ’em we’ve already tried and some we haven’t. 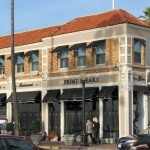 The food available in Newport Beach is impressive. If you’re looking for a specific food establishment, be sure to use our search box. 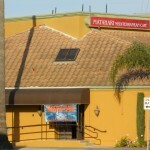 Many of the restaurants pictured below are within walking distance from the Newport Beach Pier and some are further down Newport Boulevard in Costa Mesa. 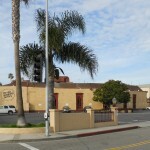 Shown above from top to bottom (l-r) is the The Old Spaghetti Factory, Charlie’s Chili, 21 Oceanfront Restaurant, Perry’s Pizza, The Blue Beet, O Cafe, Mutt Lynch’s, Matahari Mediterranean Cafe, Newport Beach Brewing Company, Mama D’s Italian Kitchen, Las Fajitas Restaurant, Pescadou Bistro, The Meat House (Opened 01/2010), Eat Chow, Mimi’s Cafe and Outback Steakhouse. 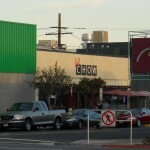 * Enlarge photos for a better view of the respective restaurants. 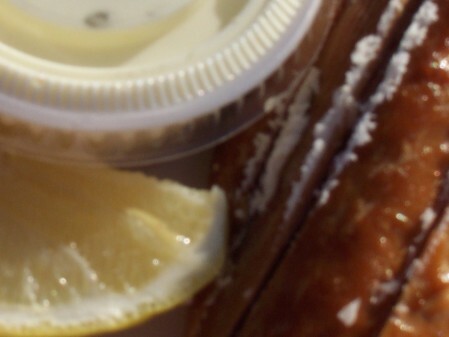 Trans Fat Is Now Banned In California Restaurants. 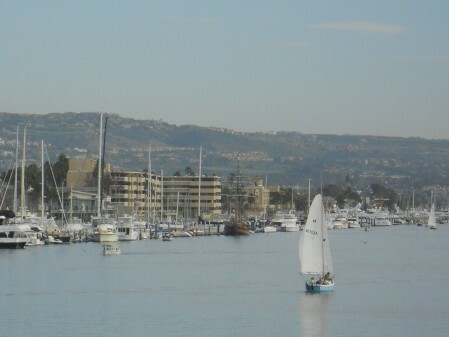 * Photo is of Newport Harbor in Newport Beach, California. Hey, I’m Frying Over Here. 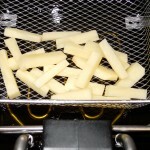 It’s With A Waring Pro Cool Touch Deep Fryer. 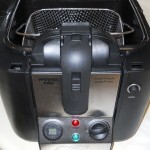 For Christmas I received the Waring Pro Cool Touch Deep Fryer. I didn’t really need one, as it means I’ll be eating more fried food, but what the heck — It’ll be fun to have when I need it. 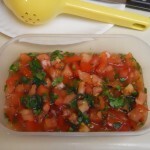 Since counter space is rationed in an apartment, it will have to be stored away. And before putting it out of sight, which usually turns into out of mind, I fried up a storm. 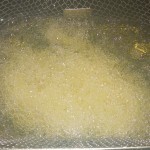 My first frying experience started with the use of (3) different Oils — I purchased a large bottle of Canola Oil thinking it would be enough to fill the fryer to the maximum level, but it didn’t even make it to the minimum level. 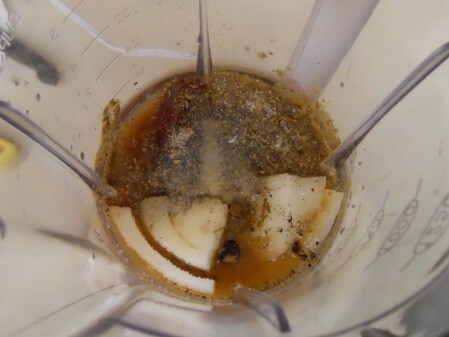 I then added what was left of another Canola Oil bottle, and then what was left of some Peanut Oil and still didn’t have enough Oil to get frying. Yikes, all I had left was Olive Oil. I had to add it, since I didn’t want to run to the store and had already prepared a Donut Batter, as Donuts were at the top of the frying list. I was afraid the Olive Oil would adversely flavor the Donuts, but am happy to report that the ratio used wasn’t noticeable at all. Whew! 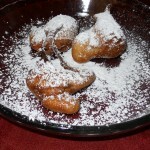 I made an Easy Donut Hole Recipe that I found online. 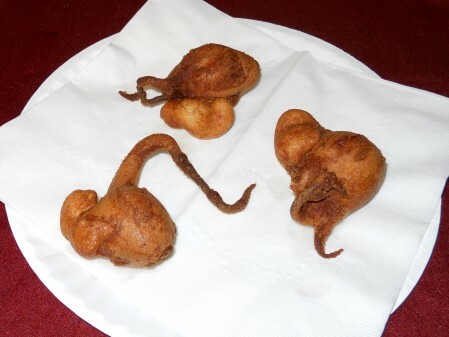 I highly recommend the recipe for its flavor, but the consistency of my batter was such that I couldn’t form the Donuts into holes, nor anything else for that matter. It was too runny to make Donut Holes and too thick for Funnel Cake. 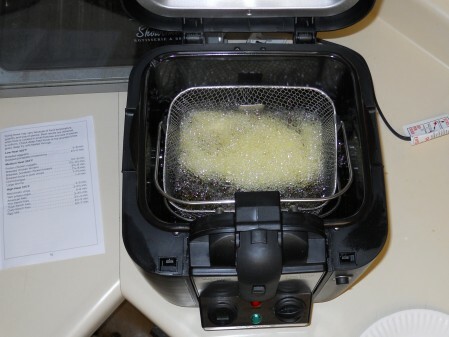 Although the final product didn’t resemble either, it tasted great — Just like a Churro or Funnel Cake. But for the life of me, I wasn’t able to make a Donut that didn’t look like an alien or internal or sexual organ, as pictured. 🙂 Fortunately the Powdered Sugar slightly masked the crazy shapes. 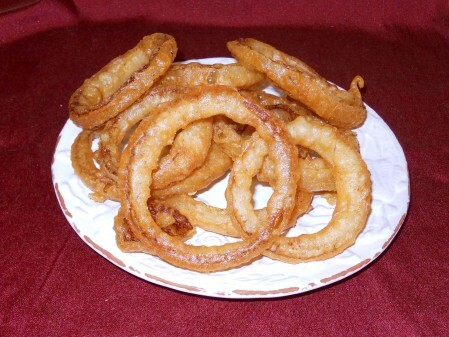 The Onion Rings tasted great, but were a bit greasy, as you can see in the photo (below). 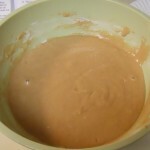 The batter was a simple combination of Flour, Beer and Salt, which I’d use again. 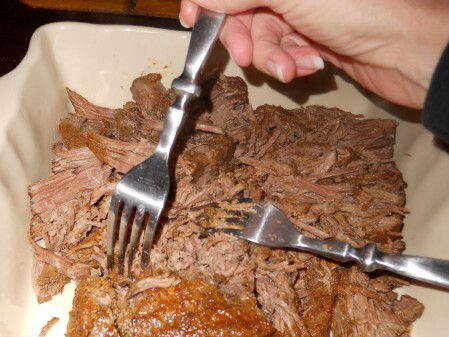 Overall, the addition of Olive Oil to the mix didn’t negatively impact the flavor of the sweet nor savory fried items, but to be on the safe side, I’d recommend that you be sure to have (2) large bottles of the same Oil on-hand before getting started. It takes a lot of Oil to fry. 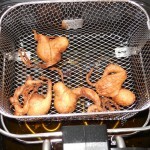 And once you’ve poured it all into the fryer, you might as well get use out of it. 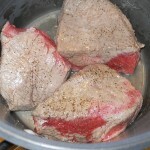 That’s what I’m doing until I’m all fried out and ready to store it away. And I’m now ready for that, since my apartment currently smells like a fast food joint, an unfavorable side effect. 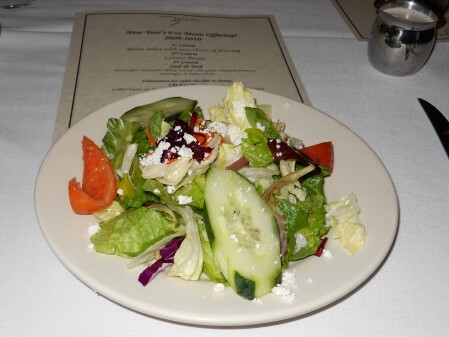 It’s time to clean things up, light a few aroma candles, open the windows, turn on the fans and have a Salad. Note: I’m happy with the quality of this product. 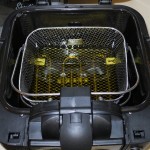 The Waring Pro Cool Touch Deep Fryer (WPF100B Series) appears to work well and many of its parts are dishwasher safe. The Crab Cooker’s Smoked Albacore Enjoyed On Newport’s Beach. 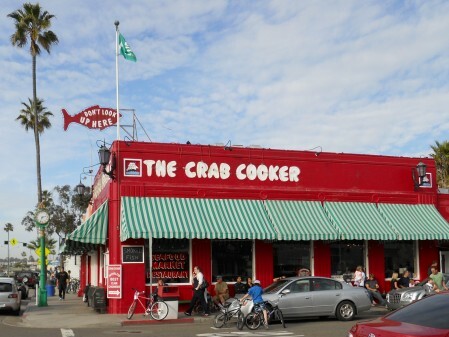 The Crab Cooker is an oldie, but goodie in Newport Beach. 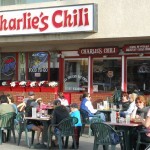 It’s been open since 1951 and still draws a crowd each day. 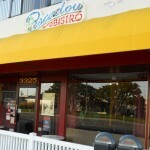 The prices are relatively reasonable for a beach area restaurant and the food is consistently fresh. Most of my recent trips have been to its Fish Market. Since the restaurant is within walking distance to the beach, we often get the Smoked Albacore to go. With a little Cocktail Sauce and Tartar Sauce for dipping, you’re set for a beach picnic if you can successfully avoid the pesty seagulls. 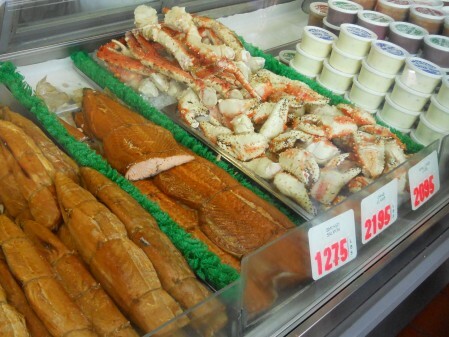 The Crab Cooker’s Smoked Salmon and King Crab Legs (pictured above) and their Manhattan Clam Chowder, Scallops on a Skewer and Romano Cheese Potatoes are also favorites of ours. People travel miles to have the Romano Potatoes, but if you’re looking for New England Clam Chowder you won’t find it here, as they only serve Manhattan, which is different because most seafood restaurants only offer New England. On this beautiful day in January, we enjoyed our Smoked Albacore on the beach while watching the brave surfers and boogie boarders — The water is still way too cold for me, even with a wetsuit, but it’s entertaining (and warmer) to watch. 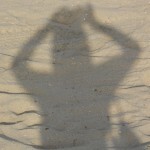 Can you tell what’s in the photo below? 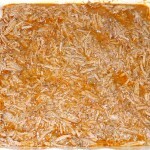 It’s our magnified sliced Smoked Albacore with Tartar Sauce and Lemon to go. 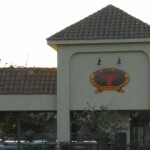 FYI: There’s a second Crab Cooker in Tustin, California. 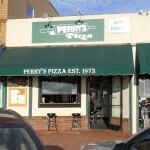 For location information, the menu and more restaurant history, click here. Eat lots of fish! 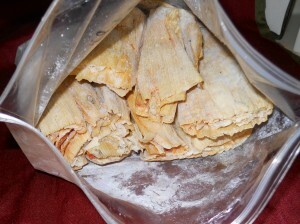 It’s Fun To Make, Sell & Eat Tamales: A Great Fundraising Idea. To help raise funds for her daughter’s school trip to Washington, DC, one mother decided to make and sell Tamales. She and her family first took orders from friends, co-workers, neighbors and others for homemade Beef, Chicken or Pork Tamales. At $1 a Tamale, I ordered 10, 5 Pork and 5 Chicken. It’s a win-win fundraising idea. 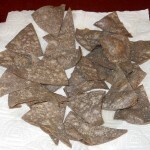 The mother and Tamale maker said it was a fun family bonding experience, but a lot of work. Many said she should’ve charged more, thus tipped extra accordingly — She happily exceeded her monetary goal. 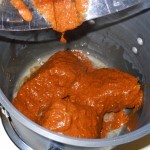 The Tamales were neatly prepared with nice chunks of meat and were thoroughly enjoyed by me. And this Spring a little girl will get to join her class on a trip to DC. It wasn’t easy, but all is good now. 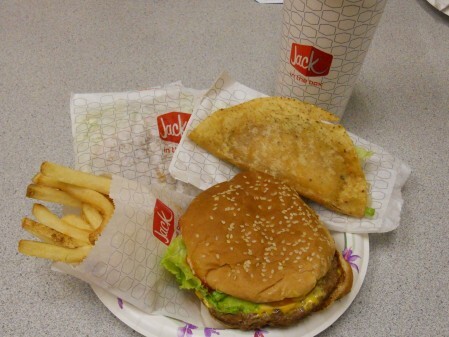 Jumbo Deal At Jack In The Box Is A Jumbo Deal For $3.49. We were full and we lived and it wasn’t horrible and we might get it again. It’s the Jumbo Deal at Jack in the Box. 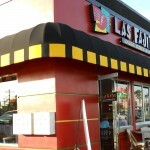 For $3.49 you get a Jumbo Jack, (2) Tacos, French Fries and a 20oz. Beverage. It truly is a Jumbo Deal. * Cheese on the Jumbo Jack is extra — They always get you with that. 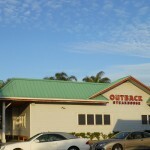 Stimulate The Economy — Dine Out More In 2010. 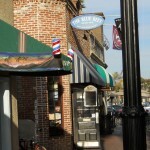 Nibbles of Tidbits will be making an effort to dine out even more in 2010. There’s a lot of deals happening and we’d like to take advantage of them. 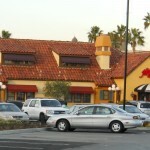 As the Orange County Food Examiner, I previously reported about several unfortunate restaurant closures in 2009, along with a few dining out tips to minimize the closures in 2010. 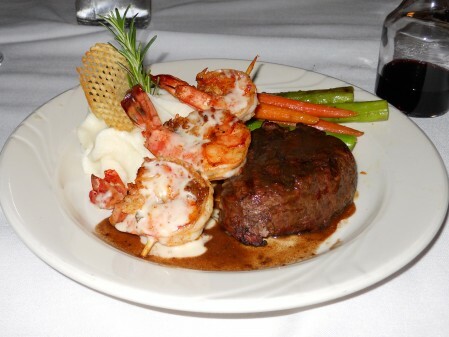 Let’s do our part to help stimulate the economy by dining out more this year. It’s a win-win situation and there will be less dishes to wash. 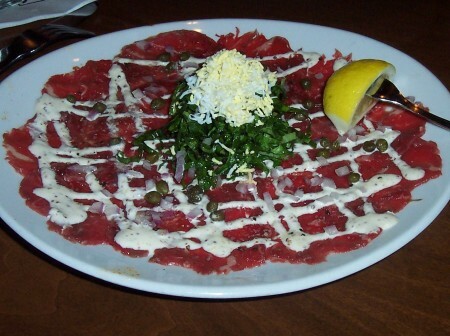 Note: Photo is of the Tenderloin Carpaccio served at Fleming’s Prime Steak House & Wine Bar in Fashion Island (Newport Beach). Foodbuzz Has Partnered With Electrolux To Help Raise Money For The Ovarian Cancer Research Fund. I’ll be donating money to help fund Ovarian Cancer Research and hope you’ll do the same. Thanks to Foodbuzz and Electrolux for their efforts to raise money for this very important cause. As well as money, I’m hoping to dedicate time on February 9th, 2010 in New York City. Foodbuzz and Electrolux will be hosting a Special Cake Decorating Event and Baking Demonstration (along with Kelly Ripa and renowned Pastry Chefs) to help bring more funds and awareness to Ovarian Cancer Research. Foodbuzz Featured Publishers were invited to answer a few essay questions to (hopefully be selected) be sponsored to be a part of this significant event. Chosen or not, I’ll do all in my power to represent and support this worthy organization. PLEASE do the same. 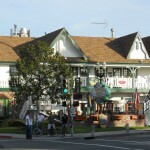 Back Bay Bistro In Newport Beach, Near Newport Dunes Resort. 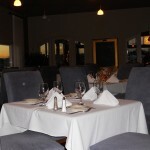 We thoroughly enjoyed the $45 prix fixe meal served at Back Bay Bistro Restaurant on New Year’s Eve — And we’ll definitely be going back again for the Lobster Bisque. 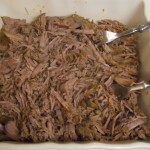 It’s one of the best we’ve had in a long time, due to a perfect balance of complex flavors. Wow! 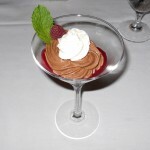 Included with the fantastic Lobster Bisque was a fresh Bistro Salad, Surf & Turf (a Petite Filet Mignon and Jumbo Shrimp served with Garlic Whipped Potatoes, Asparagus and Baby Carrots) and Chocolate Mousse with a fresh Raspberry Puree. All was fantastic. 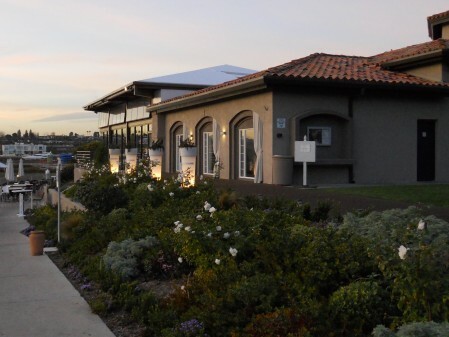 Back Bay Bistro is a little tricky to get to — It’s tucked back in Newport Dunes near a boat launch. 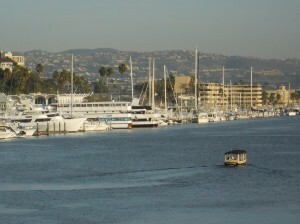 Be careful walking over and valet parking, so not to get run over by a launching boat. Once you’re there, it’s a pleasant experience. 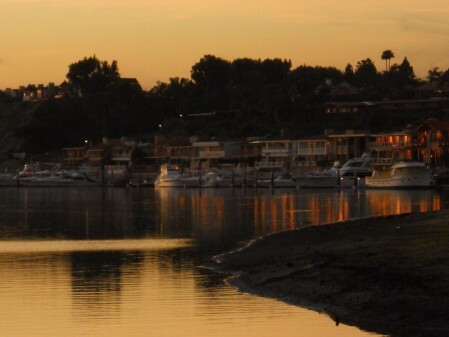 We received excellent service from everyone we encountered and were impressed by that alone. We mistakenly arrived a 1/2 hour before the first seating and were content to hang outside, but a nice manager (Jesse) invited us in early. That was super cool of him and on this colder evening it was a treat to be sitting inside with a glass of Merlot. 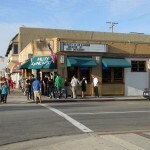 We’ll be going back soon for Happy Hour — It’s an all around good restaurant that’s nice and airy, has interesting views, offers “dog friendly dining” on the outdoor patio, provides on-the-ball service and high quality food. For all reasons noted above, we were happy with our decision to enjoy our last meal in 2009 at Back Bay Bistro — And we’ll be heading back over in early 2010 for more. 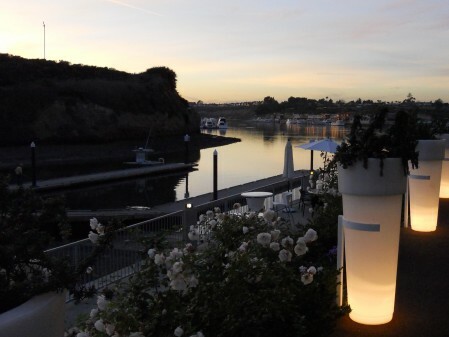 Happy New Year from Nibbles of Tidbits in Newport Beach, near Back Bay Bistro.